In today’s modern connected world cyber security matters and is vital for protecting our crucial infrastructure. The threat of cyber-attacks is now a worldwide concern, as high-profile breaches create fear that cybercrime could endanger the global economy. McAfee reported in February 2018 that cybercrime costs organisations close to 600 billion dollars a year. That is 0.8 per cent of global GDP. The cost has increased from 2014 that predicted global cyber losses at 445 billion dollars. Looking to the future as networks continue to expand and connectivity increases, the importance of cyber security has never been so relevant as we all seek to protect ourselves and our data from the threat of being exploited. However, what can organisations do to ready themselves against cyber threats? What specialist assistance is available to minimise and mitigate cyber risk? How can organisations recover quickly from an attack? Cyber security has received many definitions over the years, however as a continually evolving area of security so does the scope of what cyber security entails. Cyber security is principally the approach and actions related to security risk management processes followed by organisations. All those who operate within cyber security look to protect the privacy, integrity and availability of data and assets. The concept of cyber security includes policies, procedures and safeguarding measures, as well as technology and training to deliver the most comprehensive level of protection for the environment and its users. What is the real impact of a data breach? Financial and reputation damage - Cybercrime can disrupt and damage an organisation financially as well as harming their reputation. Data loss - By suffering a breach, an organisation could face losing critical data and business assets. Remediation - There is also the cost of remediating the problems caused by the attack and stopping further attacks. Legal impact - If the company is found to be liable for the attack, by not putting in place appropriate cyber defences, then they could face regulatory fines and litigation. Why cyber security matters for small and medium business? A surprising 45 per cent of SMEs wrongly do not believe they are a target for cybercrime. 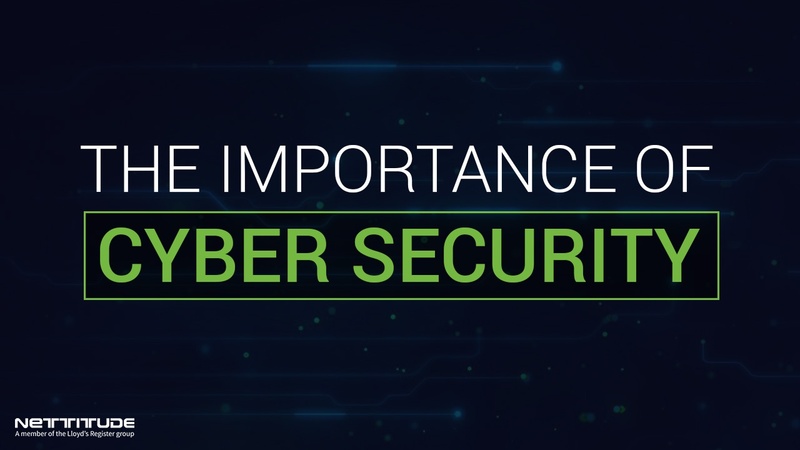 Regardless of the business size or status, cyber security should be of board /director level importance, and that message disseminates throughout the organisation. Where data and assets reside in computer networks businesses will continue to be the target of criminals. Therefore, small and medium enterprises like the larger corporate organisations must protect their information at all times. What are the most common cyber-security threats? Any organisation with an internet presence are at plausible risk of a cyber attack. Moreover, as FBI Director Robert Mueller highlighted in 2012, it is not a matter of if you will be attacked, but when. With the threat of cyber security so real and prominent it is vital that organisations realise their risks and learn how to mitigate them. In the vast majority of cybercrime cases attacks are randomly automated. The criminals look to exploit known vulnerabilities rather than targeting specific organisations. The reality is your organisation could be suffering a breach right now, and you might not even be aware. An example of targeted attacks of this kind includes the infamous May 2017 WannaCry ransomware attack. During the four days, the WannaCry attack affected more than 200,000 victims, and 300,000 computers were infected. How should businesses plan against cyber-security attacks? By creating a cyber security plan for your business, your organisation will build a solid foundation to mitigate and reduce the effects of a cyber attack. The first step in creating your plan is to engage with a cyber security specialist like Nettitude. What you are looking for is a long-standing cyber partner that is recognised in the field and looks at securing the organisation’s technology, but also its people, processes and policy. What are the legal obligations when it comes to protecting your clients and customers data? General Data Protection Regulation 2016/679 (GDPR) - On the 25 May 2018 GDPR became directly effective in the UK.It will remain directly active for so long as the UK remains a member of the European Union. Network and Information Security Directive 2016/1148(NISD) The NISD includes all member states of the European Union and came in to effect from the 10 May 2018. In June 2016, the UK voted in a referendum to leave the European Union in a historic move referred to as Brexit. At the beginning of September 2018, both the timing and impact of Britain’s exit from the UK on data protection law is uncertain.